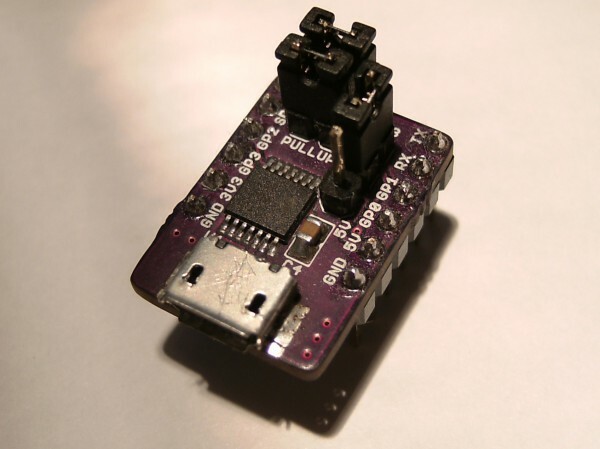 Zak Kemble writes, “This is a library for interfacing with the HID features of the MCP2221 USB to UART and I2C/SMBus serial converter from Microchip. The converter includes 4 GPIO pins, 3x 10-bit ADCs, 1x 5-bit DAC and more. Microchip does provide a library for interfacing with the chip, however it is supplied as proprietary DLLs. This project aims to be an open-source and multi-platform alternative. More details at Zak’s blog. This entry was posted on Monday, November 2nd, 2015 at 2:52 pm	and is filed under library. You can follow any responses to this entry through the RSS 2.0 feed. You can skip to the end and leave a response. Pinging is currently not allowed.